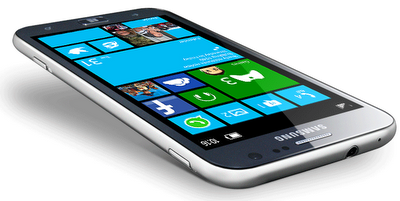 Samsung ATIV S is the world’s first Windows 8 phone with advanced features and stunning performance. According to the official talks, Samsung ATIV S will be able to compete with any high end smart phones in the world. When Windows 8 operating system releases the smart phone specifications come to a pressure to change positively even in middle range mobiles. Mainly eight top special features are enabling the latest windows 8 platforms. We think Windows 8 OS is the real challenger of the Google Android Platforms. In feature, we can see the healthy fight between these two brands. Samsung ATIV S comes with 4.8 inches (121.92 mm) HD Super AMOLED TFT Touch Screen display with 1280 x 720 pixels resolution and 16M colors visual support. 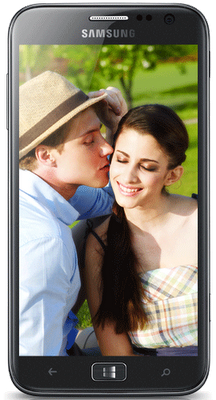 The smart phone has powered by 1.5 GHz dual-core Qualcomm processor with inbuilt graphic acceleration. Samsung ATIV S smart phone comes with 1 GB of RAM and 16 GB internal memory. The device has also a memory card slot which is compatible with micro SD Cards. Expandable memory is up to 32GB via micro SD Card. 32GB internal memory model also available in the market. Samsung ATIV S has 8MP auto focus main camera with digital zoom and LED flash and 1.9MP VT camera which are provides a good quality visuals even in bad light. The 1.9MP VT camera uses for video chatting. Samsung ATIV S has a standard Li-Ion battery which is 2300 mAh. The performance of the battery is above average and can provide sufficient energy to multimedia-connectivity needs of the device. The latest Internet Explorer 10 browser has provides the internet connectivity of the device. Internet explorer 10 has able to block dangerous websites and malware through its advanced anti-phishing features like Smart Screen Filter and more. Other Windows services like Microsoft Office for WP8(Power Point, Word, Excel, OneNote), Bing Search, Bing Map, SkyDrive, Windows Store, Music, Video, Games, Wallet Hub and Data Smart also available. Advanced connectivity options like 3G, Wi-Fi, Bluetooth, GPRS, USB, NFC, 3.5 mm ear Jack, Exchange ActiveSync, BitLocker, MDM, Custom Company Hub, Office 365, Lync etc. are available in the device. After a successful capturing of the Android Market, now Samsung looks to get an upper hand in Windows Phone Market.